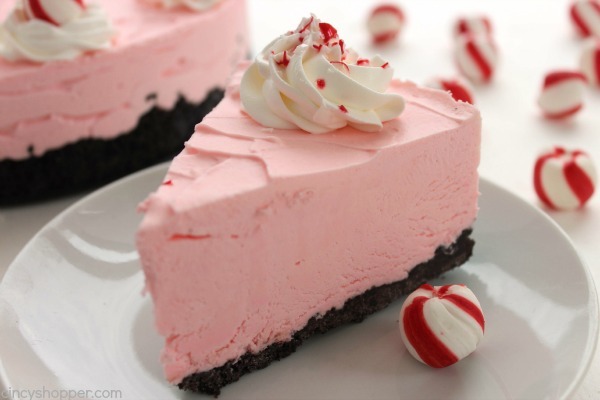 If you are looking for the perfect Christmas dessert, this No Bake Peppermint Cheesecake will be perfect. 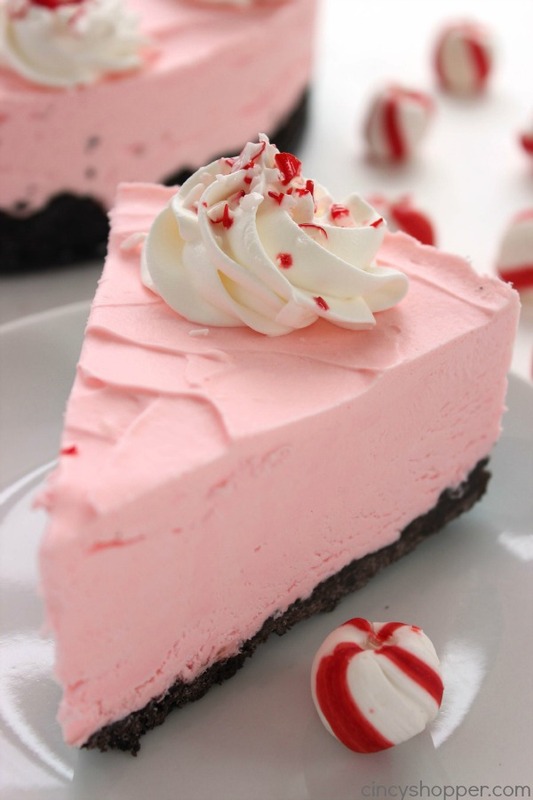 Great subtle peppermint flavors in this super simple cheesecake. 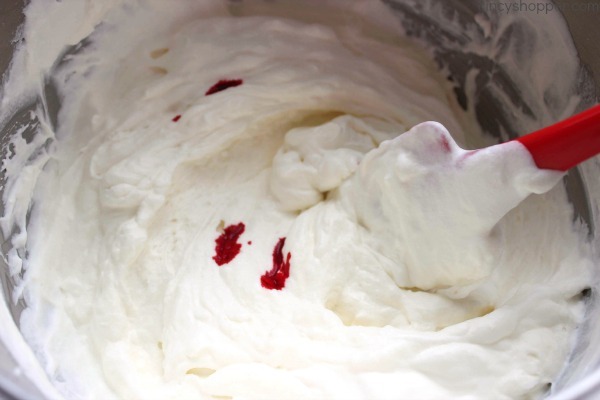 Makes for a perfect holiday dessert. 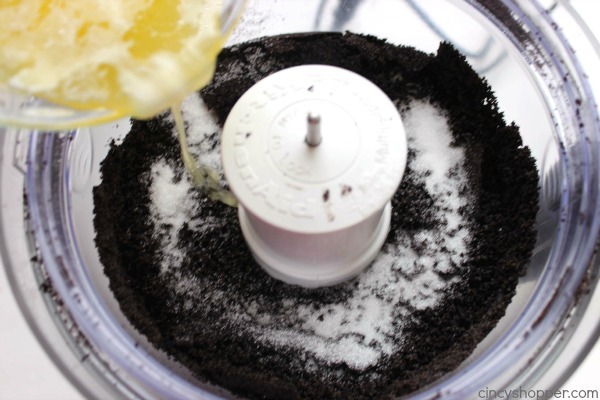 No bake cheesecakes are so easy to make, look decadent, and taste so incredible. Since my No Bake Pumpkin Cheesecake was such a hit over Thanksgiving, I was ready to get started on a cheesecake for Christmas. 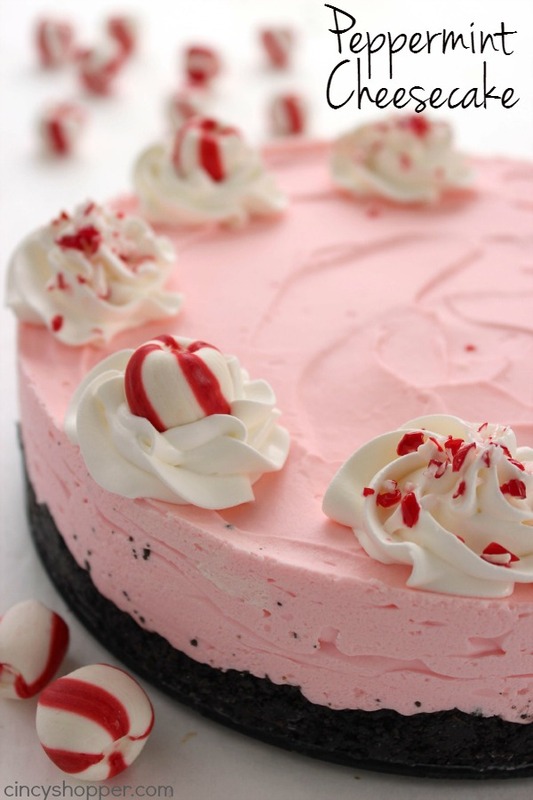 It didn’t take me very long to decide on a peppermint cheesecake. 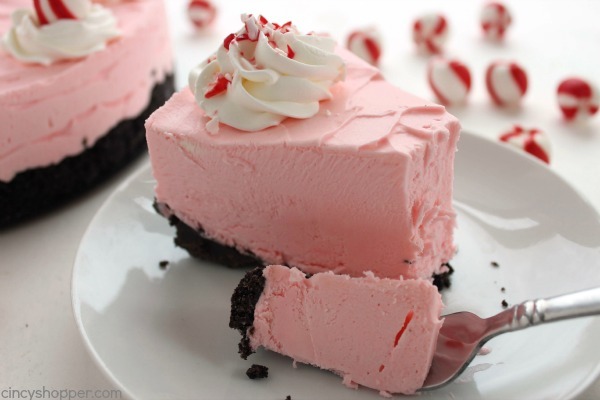 Heck everyone loves peppermint during the holidays. 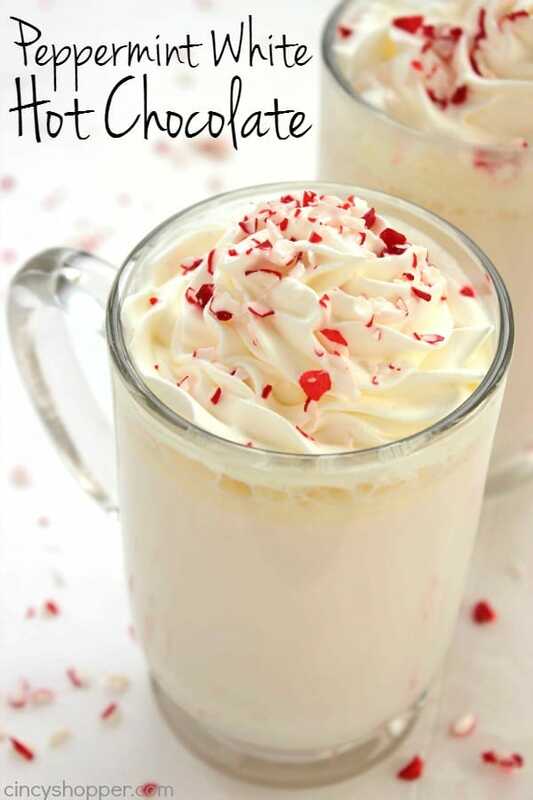 Our Peppermint White Hot Chocolate was perfect for getting me in the holiday mood last week. I always forget about my love for peppermint throughout the year. My love for peppermint has been passed on to the rest of my family. 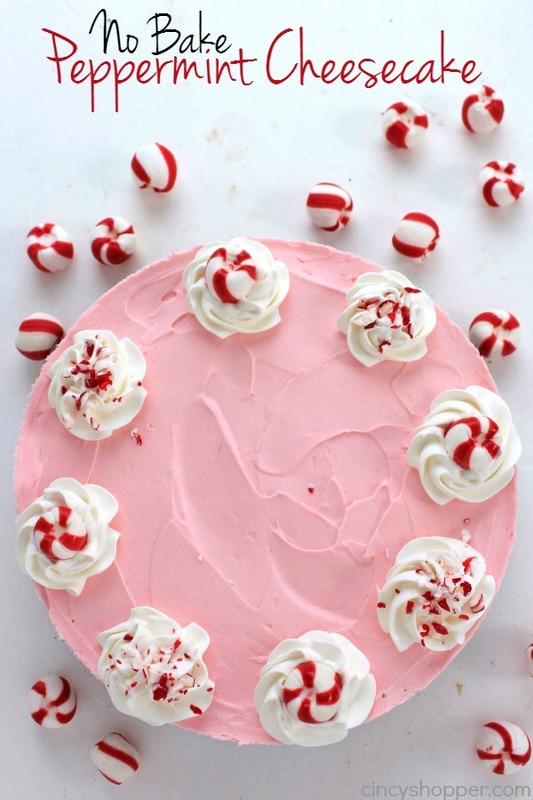 All of my kiddos were anxious for this Peppermint Cheesecake to be ready so they could dig in. 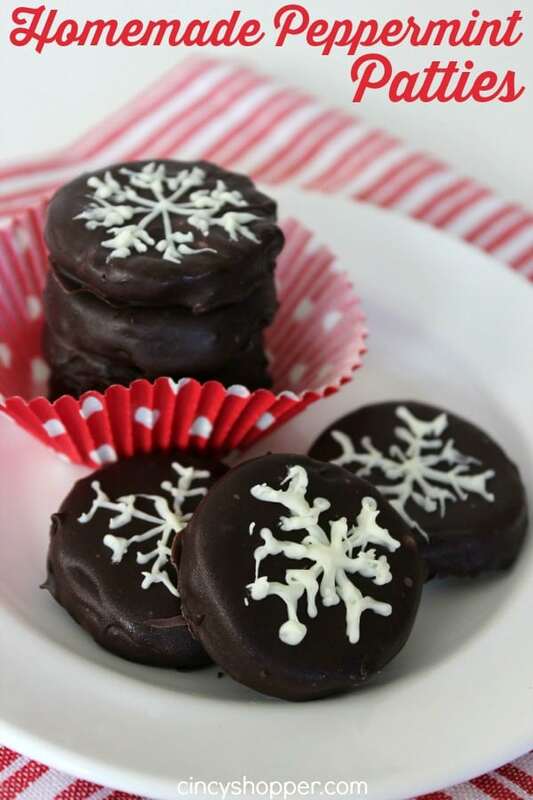 Last Christmas, I made Homemade Peppermint Patties to gift for the holidays. 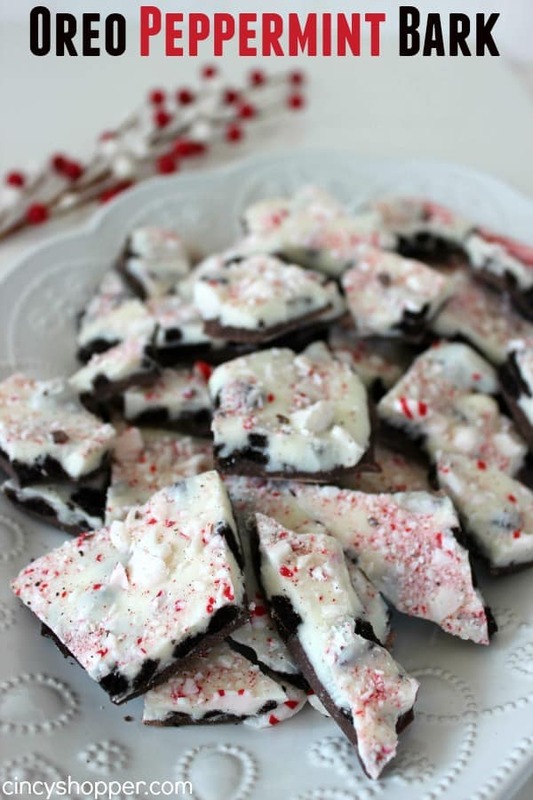 The kiddos devoured a few of those and realized that they too were fans of peppermint. 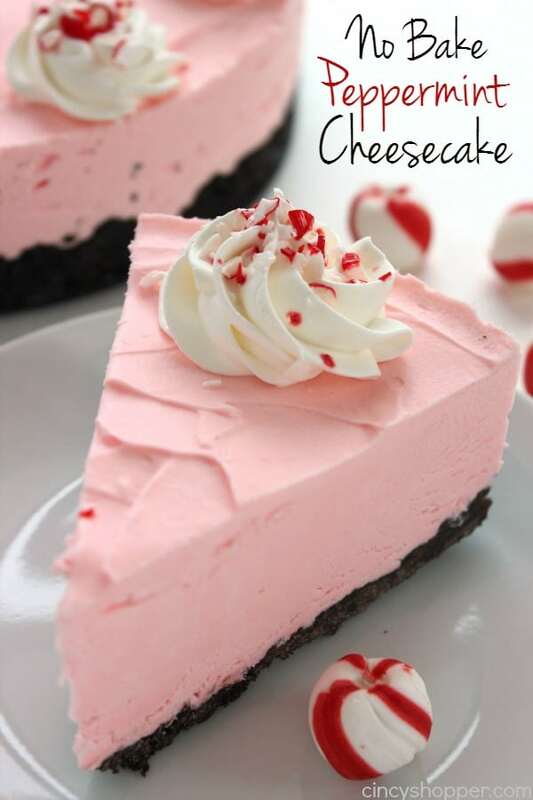 Some peppermint desserts can be overpowering, not this cheesecake. The peppermint flavor was present but not overly minty. If you have a potluck you are attending over the holidays, this cheesecake would make a perfect dessert for you to bring along. You can slice the cheesecake into quite a few small slices. 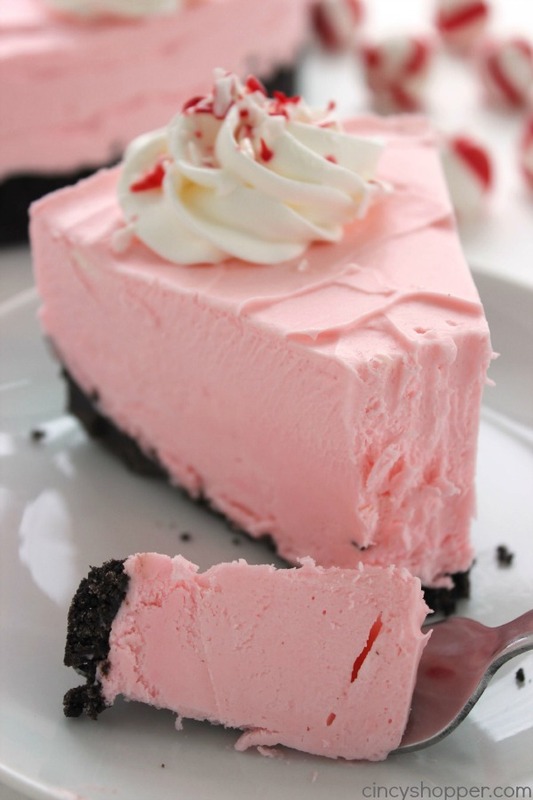 To make your Peppermint Cheesecake you will need some Oreo Cookies, cream cheese, heavy whipping cream, peppermint, sugars, butter, and some food coloring if you would like your cheesecake to be pink. The cheesecake does not take long to make at all. I usually freeze mine and then take it out of the freezer about 30 minutes or so before serving. 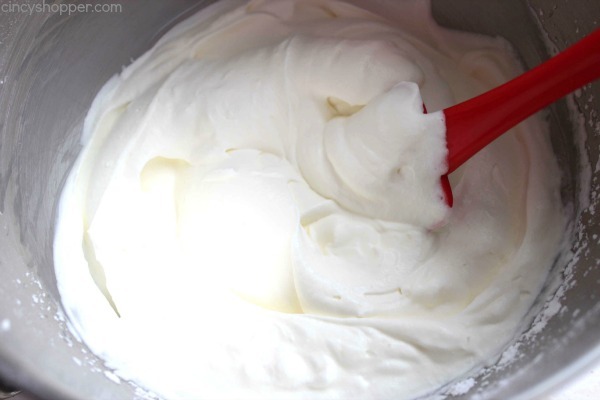 Do you have a favorite No Bake dessert that you serve during the holidays? 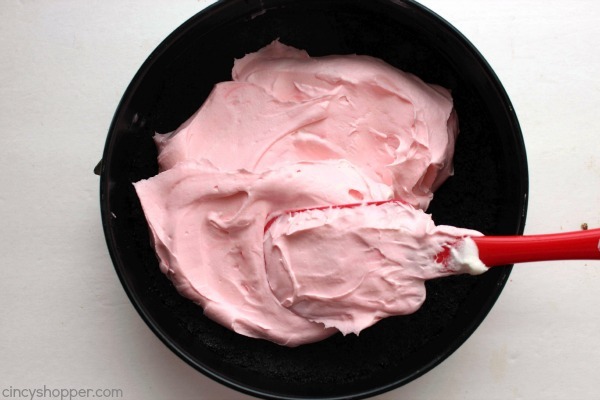 I am excited to serve this no bake cheesecake this holiday. This looks amazing and I pretty much love all of your recipes Jen! This is just beautiful!! 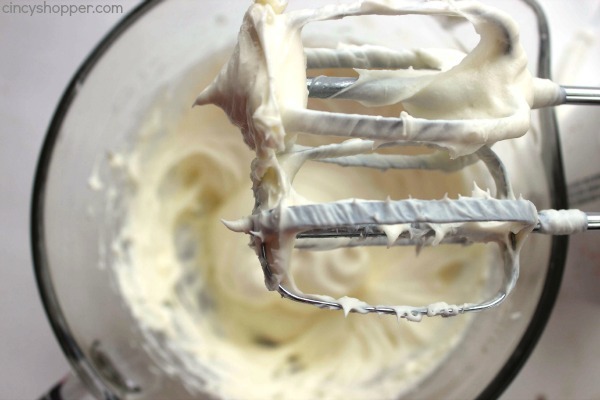 I love a no bake cheesecake because I stress out over the cake cracking. Thanks for sharing this recipe and your beautiful pictures. 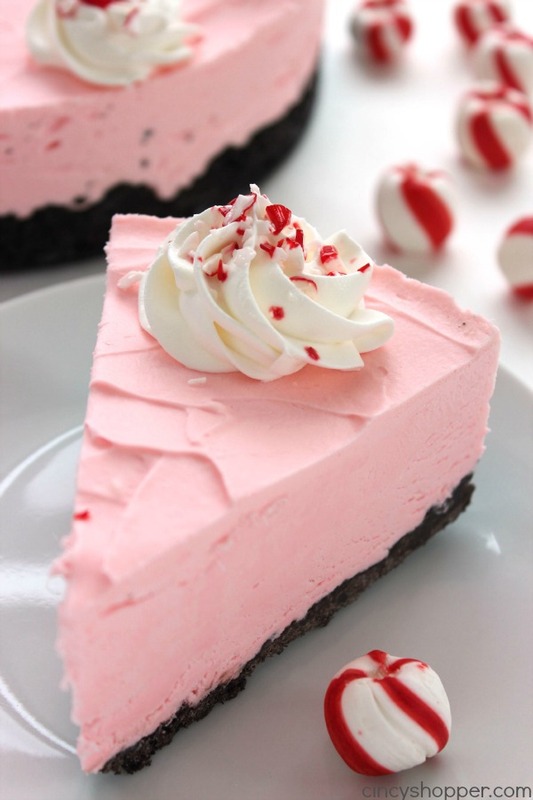 I love cheesecake and peppermint. Thanks for sharing this delicious looking cheesecake. Thank you also for linking up to wonderful Wednesday blog hop. 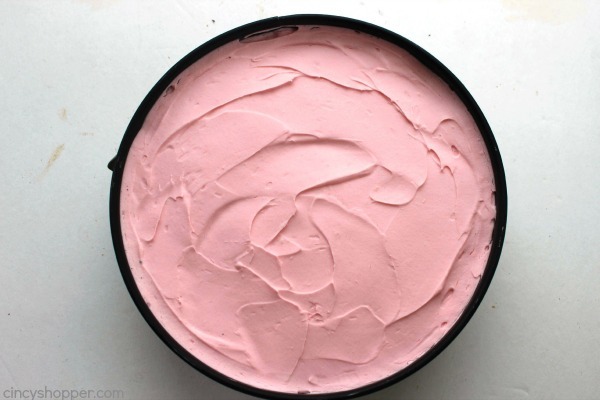 I featured this amazing looking pie on my blog today. 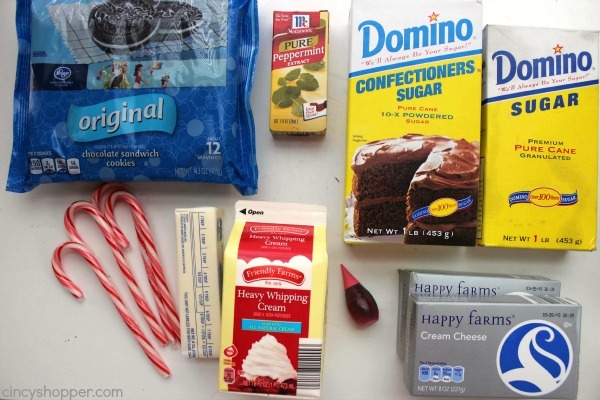 I am planning on making it for a Christmas party I am hosting in a few days! This looks amazing. Shared on my fb page. Oh my goodness – I bet this is amazing! I wish I had some now. Oh my gosh this looks amazing! Thank you for sharing at Merry Monday! This looks fantastic! I don’t have a springform pan. Any suggestions for another type pan to use? This looks fantastic! How far in advance can you make it? Thanks so much for sharing! Do you think it would work to double the recipe and make this in a 9×13 pan? What size spring form pan??? How many servings does it make??? What size of pan do you use? 16oz of cream cheese isn’t very much. But, the picture shows that it is pretty thick. I made this recipie for Christmas and took to work and got many compliments! Everyone loved the peppermint. 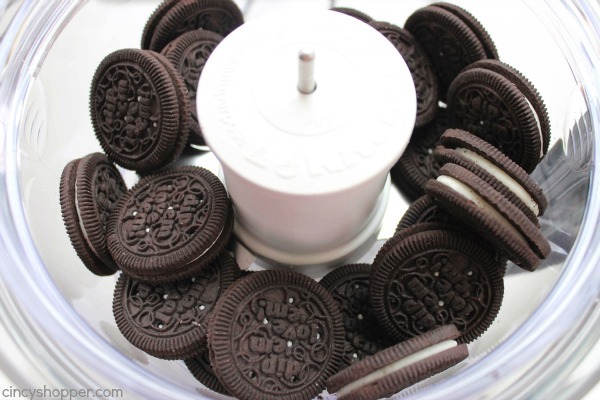 I was in charge of bringing dessert for New Year’s dinner with my in-laws, so I used this recipie leaving out the peppermint and food coloring and mixing in crushed Oreoes! Also a huge hit! ? That cheesecake looks divine! I am printing it out to try it for the holidays. Thank you! YUM! 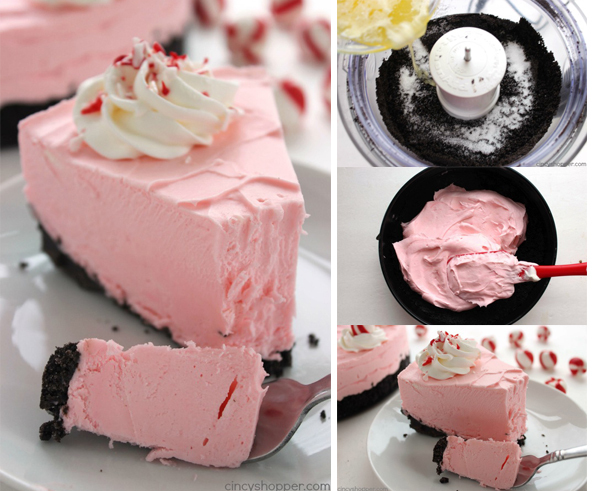 This looks so good and just perfect for the holidays! Pinned. This looks amazing!! 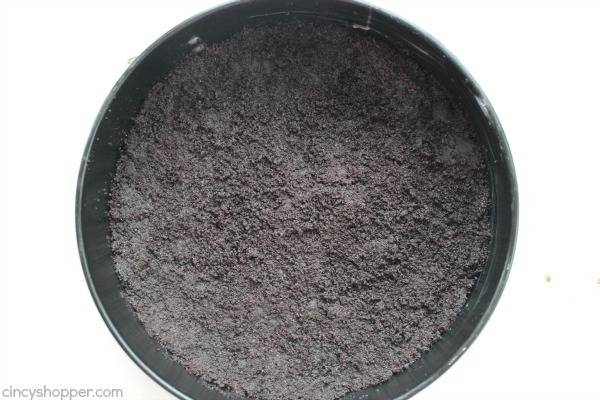 I have a question though… What size spring form pan did you use? I have a 3 piece set and don’t know which one to use!! Did you ever find out what size? This looks amazing. I bought the ingredients. But what size pan? I made this cheesecake for Christmas dinner and it was an instant hit! 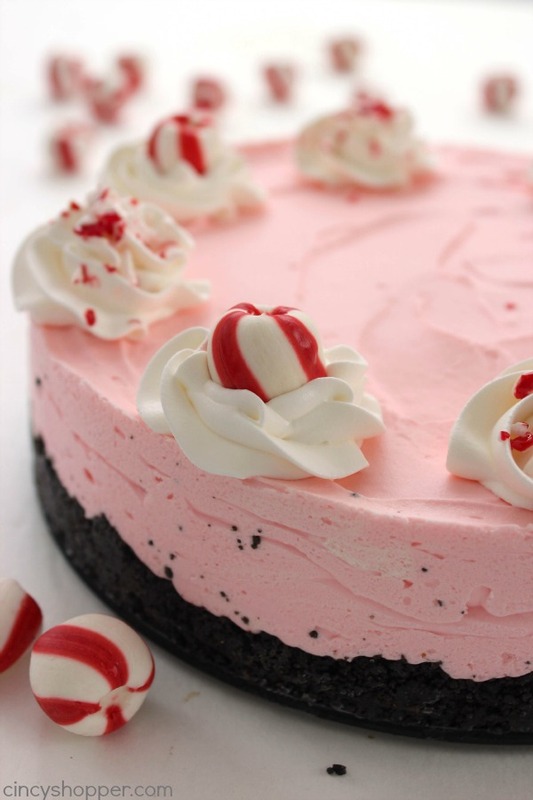 I modified it a bit by putting crushed candy cane in with the chocolate crust and doing 2 layers (pink peppermint in the middle and vanilla on the top). It was so good! Light and tasty, so it wasn’t too heavy after a big meal. 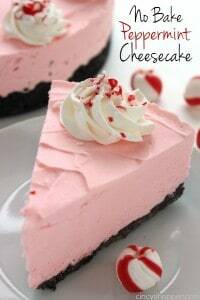 This cheesecake will make it on my list of Christmas baking projects each year from now on!